Summer is a time when most people in the UK put their slow cooker away in a cupboard, only to rediscover it sometime about the end of October. But this is not the case in warmer climes, where the Slow Cooker or Crockpot is seen as the perfect way to cook without literally sweating over a hot stove. I also think that it's perfect for days out at the beach or the park or even in the garden. as you can load it up in the morning and head off knowing you will be coming home to a meal you simply have to serve. Your challenge, for July, is to come up with the perfect SUMMER Slow Cooker meal. Add your link to the InLinkz tool at the bottom of this post. About the Author: GINA STEER is an established and experienced food writer and stylist. After receiving her diploma for Home Economics, she wrote for many leading women’s magazines and was Cookery Editor for a leading women’s weekly publication. She is now a freelance food writer and editor. She has written a number of cookery books and had a regular feature on London’s LBC Radio. She has always been a great lover of hearty, slow cooked meals, ensuring they are accessible to all. 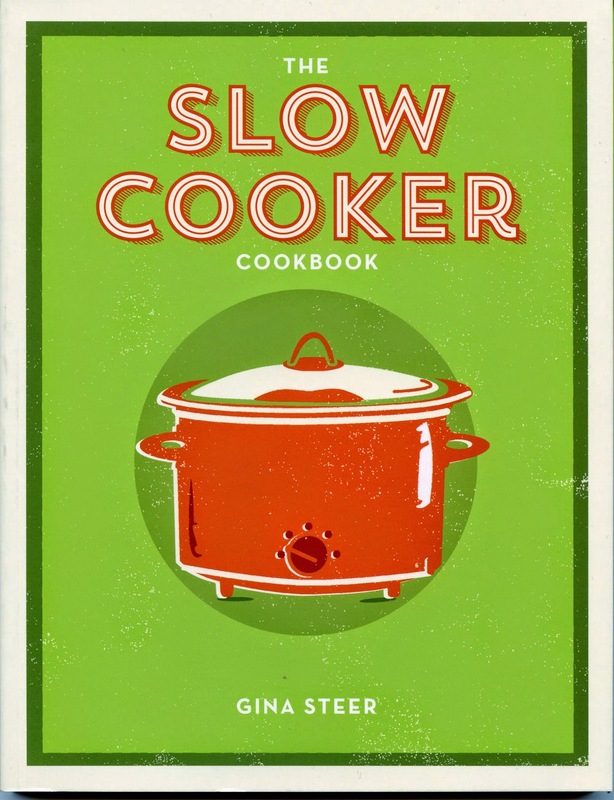 The Slow Cooker Cookbook starts with advice about buying a slow cooker and some tips on food preparation and cooker care. However, this is a short chapter and you are soon into the recipe chapters. Starters and Sauces contains some really interesting recipes that I am keen to make like Sunburst Soup, Lentil and Squash Broth, Duck Pate, Cheesy Bean Dip and Tangy Tomato Sauce. Fish and Seafood covers a wide range of different types of fish, I was drawn to Salmon with Sweet Chile Glaze, Scallop, Prawn and Saffron Rice and Tuna with Mango Salsa. Meat those of you with a slow cooker will know just how good it is at cooking meat, this chapter covers traditional dishes like Braised Beef, Lamb Hot Pot and Braised Lamb Shanks as well as recipes for Lemon Pork with Cumin, Lamb Fillet with Plum Sauce and Sweet and Sour Ham. I cook at lot of chicken, so am always looking for different ways to cook it, and in the Poultry chapter there are plenty to choose from. What about Mexican Chicken Drumsticks, Chicken with 40 Garlic Gloves and Chicken Gumbo Supper, other poultry also features including Duck with Cherries, Guinea Hen with Orange Sauce and Turkey Tagine. In the Vegetable chapter there are plenty of meat free dishes to enjoy including Stuffed Peppers, Warm Bean and Pumpkin Salad, Stuffed Acorn Squash and Spicy Vegetables with Coconut. I have still to make any Desserts in my Slow Cooker, I think the first might just come from this book. I'm finding it hard to resist Sticky Date and Toffee Bake, Maple Syrup Dessert and Gingerbread. If you like a chance to WIN this book, enter the Rafflecopter Giveaway by leaving a comment and following the instructions. I don't know yet as I always make more wintery meals in it, even in summer. I tend to only use my slow cooker in the winter, so I don't have a favourite - YET! I would love to try the mexican chicken drumsticks, but love my slow cooker, so new recipe ideas would be great. Pulled pork or chicken! It's so easy and then we can have sandwiches for cookouts!